First, the British parliament rejects David Cameron’s demand for an immediate military strike on Syria. Then, Barack Obama, seemingly all set to bomb Syria, decides to postpone any action until it wins backing from Congress (which is by no means a foregone conclusion). The extraordinary flip-flops and u-turns over policy towards Syria on both sides of the Atlantic last week might seem to express the triumph of the democratic process over hasty belligerence. They speak also, however, to the confusion and lack of coherent thought that lie at the heart of much contemporary Western foreign policy. Any discussion about military intervention in Syria takes place, of course, in the shadow of the war in Iraq. The dubious intelligence and discredited justifications that preceded that invasion still haunt political debate. So does the chaos and sectarian conflict that followed. The Iraq war helped further erode trust in politicians and made the public more skeptical about ‘humanitarian intervention’. It also made politicians less willing to stick their necks out and take a stand. The problem goes, however, much deeper than merely the aftershocks of Iraq. There is a growing gap between morality and reality that shapes much of contemporary policy making, and distorts both moral thinking and policy decisions. Nowhere, perhaps, is this clearer than in discussions about war. The case for military intervention in Syria is rooted largely in moral outrage at Bashar al-Assad’s ‘crossing of the red line’ in using chemical weapons. The outrage is understandable, indeed necessary, as is the desire to ‘do something’. 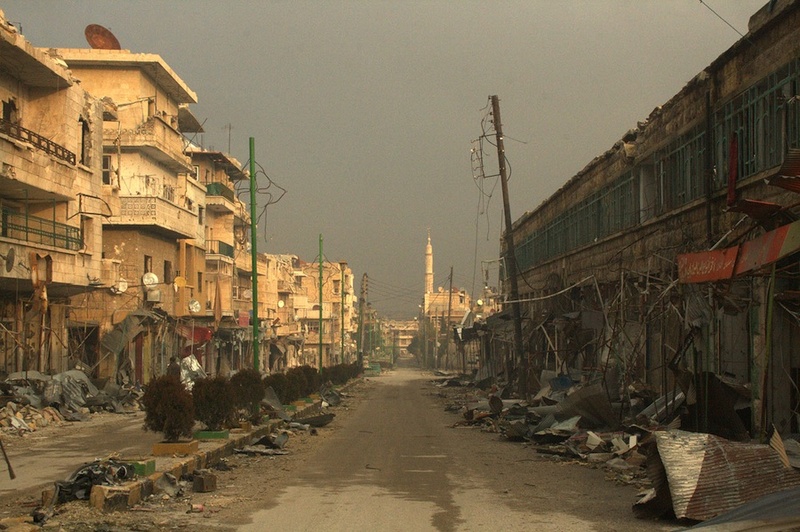 What the narrative for intervention excludes, however, is the complexity of the Syrian conflict. 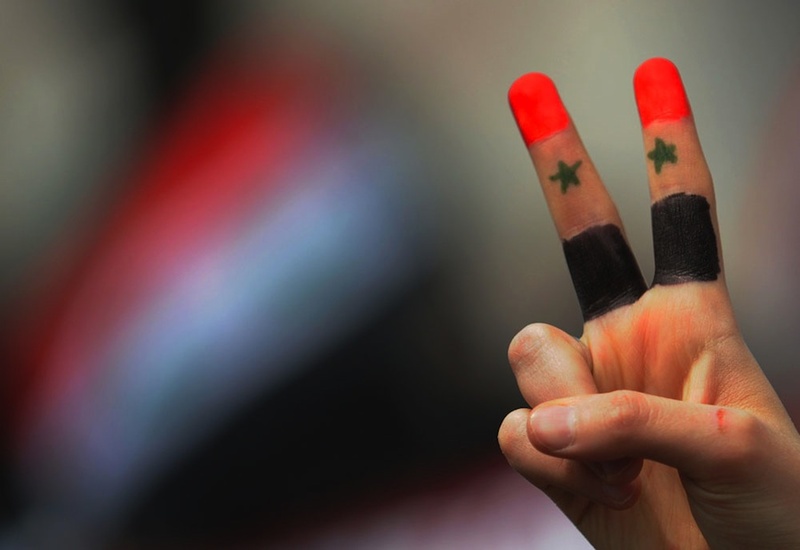 The current conflict began in March 2011 as a popular revolt against the Assad regime and its brutal police state. The uprising swiftly became enmeshed in a web of conflicts, both internal and external to Syria. The Assad regime has managed to present the struggle for freedom as a sectarian clash between the Sunni Arab majority and minority groups such as the ruling Alawite sect, Christians and Druze. The success of the regime’s propaganda has turned the myth into something of a reality, so that the battle for a new, democratic Syria has descended into something more sectarian. The intervention of foreign powers has exacerbated such sectarianism as different opposition groups have become proxies in a wider set of conflicts. The most important of these is the struggle between Saudi Arabia and Iran that has shaped much of Muslim politics since the Iranian revolution of 1979. Saudi Arabia and the Gulf states have thrown weapons and money at the opposition. Iran, knowing that the overthrow of Assad would weaken its own position, has fought to preserve the regime. 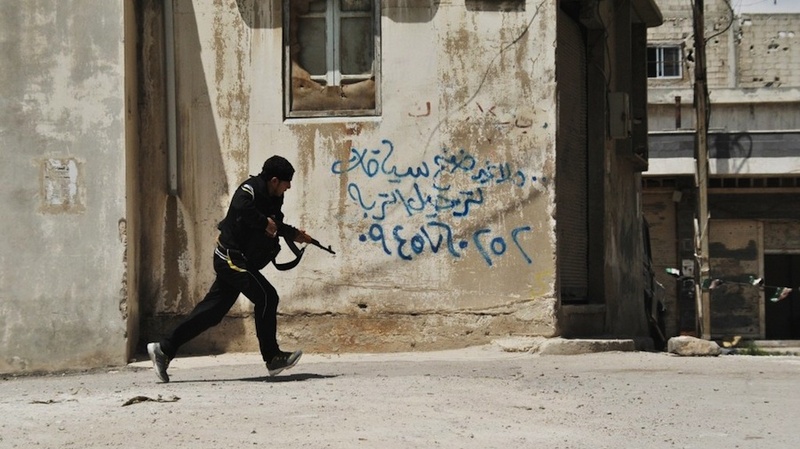 Hezbollah, the Iranian-backed Lebanese militia, has sent fighters to shore up Assad’s cause. With Saudi Arabia broadly Sunni and Iran mainly Shia, the political struggle between the two nations has become mapped onto the Sunni-Shia religious conflict. Nevertheless it is not religion but realpolitik that is helping to forge alliances. That is why theocratic Iran is lining up with secular Assad against Wahhabist Saudi Arabia. Russia, meanwhile, is using its support for the Assad regime, and opposition to American policy, as a means of reasserting its status as a Great Power. Intervention by Western nations, too, has helped shape the civil war. Throughout the so-called Arab Spring, Western, and especially American, policy towards democracy movements has been dictated primarily by two requirements: the desire for political stability and the need to keep Iran in check. The importance of Saudi Arabia and the Gulf States, both in containing Iran and in helping prosecute the war on terror, has led America to be at best ambivalent towards democracy movements in Saudi Arabia and Bahrain, tolerating the authorities’ brutal crackdown on protestors in both countries. In Egypt, America has supported the democracy movement, but only in the context of maintaining stability. It backed the previous dictator Hosni Mubarak, whom it had funded for 30 years, until it was clear that he could no longer cling to power, tried to replace him with the CIA’s bagman in Cairo, Omar Suleiman, and refused to call the coup against President Mohammad Morsi a coup, so that it could legally continue funding the Egyptian military. There is a long history of US involvement in Syria. In the 1950s and 1960s, the CIA was drawn to the Ba’ath Party in both Iraq and Syria because of the Ba’athists’ visceral opposition to communism. In February 1963, the CIA funded a coup that brought Iraqi Ba’athists to power. One of the CIA assets was a lowly member of the conspiracy – Saddam Hussein. The following month, Syrian Ba’athists mounted their own coup, led by, among others, Hafez al-Assad, Bashar al-Assad’s father. The Ba’ath Party, and the Assad clique, have long since transformed from an asset to a liability. Unlike in Saudi Arabia, Bahrain or Egypt, America has shown no ambivalence in its desire to oust the regime. It helped set up and support, financially and logistically, the Free Syrian Army, and gave formal recognition to the Syrian National Council as the legitimate representative of the Syrian people. The aim was to bolster the anti-Assad movement, while keeping the more radical jihadis in check. The consequence has been further to distort the movement for democracy, turning more opposition groups into client organizations of foreign powers to whom they are beholden for finance, resources and armaments. While Western powers have played their role in creating the complex web of conflicts that now defines the civil war in Syria, in making a case for military intervention, they have ignored that complexity, turning the argument for military intervention into a simple morality tale. There are, of course, moral issues at the heart of the Syrian conflict. But those issues can only be negotiated within the geopolitical realities of the war. We should, for a start, be somewhat skeptical of the moral anger now emanating from Whitehall, the White House and the Élysée Palace. Chemical weapons are obnoxious. But Western leaders are happy to see them used where it suits their needs. Recently declassified CIA documents have revealed, for instance, that America helped Saddam Hussein use sarin gas and other neurotoxins against Iranian forces in the Iran-Iraq war in the 1980s because, in the words of the President Ronald Regan ‘An Iranian victory is unacceptable’. In their assault on the Iraqi city of Falluja in November 2004, America forces used white phosphorus shells – not technically a chemical weapon, but a horrific armament nevertheless; white phosphorous ignites on contact with oxygen, melts the skin and burns through to the bone. White phosphorus shells were also used by Israeli forces in Gaza in their 2008 war. Britain was selling to Syria the materials necessary to make chemical weapons until January 2012 – ten months into the uprising against Assad. None of this, in itself, is necessarily an argument against intervention. All of it should, however, make us question the motives of many of those now calling for military strikes. If the moral stance of those demanding intervention is questionable, the consequences of such intervention are even more so. What has been striking in the debate so far is the lack of strategic thought from those pushing for war. What are the specific aims? What would constitute success? Is there a vision of the endgame? There are few answers to such questions. There is, observes Michael Clarke, director general of the Royal United Services Institute, a ‘strategic wooliness’ at the heart of Western plans. ‘You can’t sort out a military plan unless you know what the political objectives are’, observes General Sir Mike Jackson, former head of the British army. And those objectives were patently missing in current plans. Similarly, General Jonathan Shaw, a former director of UK special forces who served in Kosovo and Iraq, asks, ‘What is the political objective that military action is meant to be enabling?’ and points to ‘A lack of clarity about the political objectives’. Speaking before Parliament voted against intervention, David Cameron insisted that any military strike would not be ‘about getting involved in a Middle Eastern war’ or about ‘going further into’ the Syrian conflict, but ‘about specifically deterring the use of chemical weapons.’ It is difficult to know, though, how a military strike could specifically degrade Assad’s capacity to use chemical weapons without ‘getting involved in a Middle Eastern war’. Richard Guthrie, a chemical weapons specialist formerly with the Stockholm International Peace Research Institute in Sweden, points out that bombing chemical weapons stockpiles, as America has done in the past, is likely to release deadly toxins and hence increase the death toll. The kind of ‘limited’ intervention currently being considered is likely to cause considerable destruction, may even cause more chemical deaths, but is unlikely either to prevent further chemical attacks, or to force Assad to surrender. Nor will it break the current stalemate in the civil war in which neither side can make a decisive move. That stalemate is the product not simply of a military impasse, but of a political one, too. The Assad regime is certainly propped up by outside forces, from Russia to Hezbollah. But it retains also a degree of popular support. It does so partly for sectarian reasons – Assad’s base lies in his own Alawite sect – but because of the political failures of the opposition, too. The rebels, politically incoherent and factionally divided as they are, have failed to win over significant sections of the population. What unity there is has been largely stitched together through foreign sponsors. This has done little to win over doubters. Any military intervention would make it harder to do so, making those who already support for the regime do so even more and hence entrenching the divisions. What becomes clear in all this is the gap that has now opened up between morality and reality, between the moral case for intervention and the reality of the civil war. In part this is because the moral arguments for intervention seem, all too often, shaped less by the consequences that such intervention may have for the people of Syria than by the desire ‘to do something’. That desire is understandable. ‘For those of us who are not religious’, observes Phillip Collins, former speechwriter to Tony Blair, ‘the suffering of other human beings is the deepest mark of our common human heritage. So it is important to add weight to our moral impulse rather than to dismiss it as naive and foolish.’ That is true. It would be shocking indeed if we did not feel revulsion at the brutality of the Assad regime. The desire to do something is certainly better than a shrug of the shoulders, the insistence that nothing can be done. Ideals are essential in politics. Yet that desire is also one of which we should be wary. Our moral compass should be set by the needs not of our own moral consciences but of the people of Syria. This does not mean that nothing immediately can be done. An editorial in the New Scientist last week observed that a far better response to chemical attacks than dropping bombs would be to deliver the necessary antidotes, which are virtually non-existent in Syria. At a time when European nations have cynically created new legal barriers for the entry of Syrian refugees, and are even arresting them – acts that once again call into question the humanitarian impulse of Western leaders – we should demand the opening up of borders. This will not prevent brutality in Syria, but it would be a response that addressed practical needs and improved lives. In humanitarian, as well as in medical, interventions, the first rule must always be ‘First do no harm’. Otherwise, the moral arguments descend into something far darker. This is a quibble – but I think there needs to be a degree of scepticism about the Daily Record article which claims the UK supplied the ingredients for chemical weapons. I don’t doubt that the UK sold Syria NaF and KF, but I am not sure they qualify as smoking guns in the production of chemical weapons. For starters, they are quite simple compounds that have a wide variety of uses – fluoridation of toothpaste, for example, so their purchase could be entirely innocent. I am not a nerve agent expert, but looking at the structures of them, it is clear that the real killer is the phosphate mimic section, rather than the fluorine itself (the V series of agents replace the F in Sarin with alkylsulfur), so it’s unlikely that lack of these NaF/KF would have prevented the production of nerve gases had they had the rest of the precursors. Indeed, it’s not listed under the chemical weapons convention as a precursor. It is possible that those shipments were used in the manufacture of chemical weapons, but I am not convinced that preventing these shipments would have prevented or severely hindered the horrific attacks that have occurred. This is very interesting – but there seems quite a gap between condoning/enabling the use of chemical weapons against enemy combatants on the battlefield and there use against civilians, or in a context in which civilians likely to be affected in large numbers. Sarah, I am assuming that this is a reference to the American support for Saddam in the 1980s. It is true that there is a moral distinction between the killing of civilians and that of combatants. However, the moral arguments currently being made are that 1. Chemical weapons by their very nature are immoral munitions (though I cannot see the fundamental moral difference between mass killing of civilians using cluster bombs or napalm or white phosphorous and mass killing of civilians using sarin); and 2. Chemical weapons are banned by international treaty. If those claims apply, they apply to the use of such weapons against both civilians and combatants, and if they apply now, they applied in the 1980s. There is nothing excusable about America’s stance towards Saddam. You’re absolutely right that the Reagan administration’s active co-operation with Saddam in sharing intelligence for operations where they knew he was almost certain to use chemical weapons made them complicit in a war crime. The white phosphorus case is very different, as the BBC article you link to makes clear. this proxy war between Iran and Saudi Arab, it is my prediction it will be more danger in Muslim countries a future.